The place for karting enthusiasts. In many ways, the structure of the go kart is simpler than that of a race car, but that constructive simplicity can make the tuning and optimization even more complex. 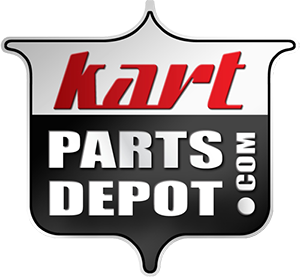 While it may be possible to use advanced structural and aerodynamic analysis to improve your kart's performance, most karters will agree that is not necessary. Following general guidelines for assembly, seat mounting, and weight balancing should get you pretty far. The little tweaks that come after that will improve your performance. Some understanding of the forces on the kart will help the mechanic and driver predict what happens when a parameter changes. When it comes to driving, the most impactful differences between a kart and a car are that the kart lacks a differential and it lacks any suspension components. Because there is no differential on a kart, the two rear wheels are attached by a solid axle and must spin at the same speed. When you go around a corner, the inside wheel is traveling a shorter distance than the outside wheel. If it is correctly lifted, it can rotate without skidding against the track. If the inner rear wheel is not lifted you may experience an initial understeer because the tire is dragging, and then as you correct for it, the wheel lifts and you go into a skid. This occurs because when the inner wheel lifted, you did not have enough traction on the outer wheel to overcome the centripetal (side) forces at the speed that you were going.